We can supply you with bulk quantities in Australia at a great price. 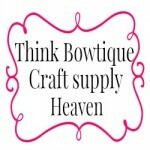 Our plastic headbands are perfect for covering with ribbon or fabric. If you need grosgran ribbon or satin ribbon to cover you headbands you will find a large range of colours to select from here in our online store. Try our woven ribbon tutorial with our 15mm plastic headbands.